This post can be used to gather ideas about Christmas presents for everyone important on your list. Use the links below to skip to Christmas gift ideas for mom, dad, kids, coworkers, teens, friends, teachers, parents, and couples. Or, you can jump to DIY Christmas gift ideas or other cool Christmas gift ideas. If you are anything like us here at Dealhack HQ, you start brainstorming ideas for holiday gifts several months early. We do so for a variety of reasons. Firstly, shopping for gifts in advance can definitely cut down on the stresses when the holiday season arrives. Secondly, obviously, we love a good deal. Keeping an eye on prices for specific items throughout the year can allow you to purchase when they are on sale or your favorite store is offering a coupon code. We’ve asked hundreds of people what is on their wishlist for this Christmas and want to help you out if you are trying to think of gift ideas. Continue reading for our list of Christmas gift ideas for everyone on your list. Shopping for your mom isn’t always easy. Some mothers have a love for design and fashion while others love to be active or have a specific hobby. For the fashion-loving moms out there, consider a Cedar Street Cali Cross Body Bag from Kate Spade or a Double Wrap Bracelet Watch from Tory Burch. Heck, any mom can appreciate a new bag or fancy accessory. Is your mom an active woman who appreciates comfort and style? What about picking her up a versatile new jacket like the Savasana Waterproof Jacket II from one of our favorite Canadian retailers, lululemon athletica? Does your mom love cooking or baking? The Kitchen Aid Stand Mixer is a staple for any kitchen. Make anything from your own homemade pasta noodles to mixing fillings for pies. The mixer comes in several colors so you can choose any color to match your kitchen. Lastly, who doesn’t love a fresh bouquet of flowers? Even better, what about fresh flowers for the rest of the year? Give the gift that will keep on giving by subscribing to regular deliveries from The Bouqs. Select the type and size of bouquet you would like delivered as well as the delivery schedule and let your mom know how much you love her with every delivery. While tickets to a sporting event or concert are great gift ideas for any man in your life, we’ve gathered three more awesome ideas based on what the men in our life like. With technology becoming more and more advanced, it’s a no-brainer that fitness trackers are now built into almost any smartphone. Phones can definitely track your step count and sleep quality, we recommend the Fitbit Alta Fitness Tracker. This awesome wristband connects automatically to your computer or smartphone using Bluetooth. The battery can last up to 5 days and it’s splash, sweat, and rain proof. We also suggest any of the new styles available at Allen Edmonds. Particularly, the First Avenue Dress Boots. With an almost perfect rating and great reviews, any man in your life would be happy to add these to his wardrobe. It’s not only women who love to stay fresh and clean. You would be surprised to know how many men we questioned have grooming items on their Christmas wishlists. Consider the Alpha Fit Sonic Cleansing System for a gift that is a little different. Trust us, any man would be happy to receive any of the Christmas gift ideas mentioned above. While teens are probably the most difficult to buy for, kids can be difficult also. If you don’t watch cartoons you often miss out on “what’s new” in the world of children’s toys. If you haven’t heard of Hatchimals, it’s because the company is keeping details about the new toy a secret. New details and pictures are slowly being released but it is predicted to be one of the hottest toys of the year. While toys are always loved by children, they also can get great joy from a game with friends. The Pie Face Game from Hasbro is sure to keep kids laughing for hours. The pie-throwing arm might go off at any moment so tensions will be high. Grab this awesome game and enjoy family time with your little ones. To keep their minds sharp, consider the Magformers Construction Kit. This awesome kit will allow your child to build and create which will help improve imaginative horizons while letting them have fun! With Christmas just around the corner, offices all over the world will be hosting office parties and gift exchanges. If you find yourself stuck for an idea for a gift for a coworker, consider one of these three ideas. For the sweet tooth in your office, consider purchasing a bouquet of Edible Arrangements. You can have these tasty treats delivered directly to your workplace. If you have someone you really want to impress, a Kindle E-Reader is a great idea. While slightly more expensive coming in around $80, a new E-Reader can be enjoyed by anyone. After a long day of work, nothing helps you relax like a nice glass of wine. A Custom Wine Carafe from Things Remembered makes the perfect gift for any coworker. Let’s be honest, purchasing gifts for teens is never easy. We actually found this to be the most difficult group of Christmas gift ideas to come up with. With so many different interests and styles, choosing a gift for a teen could be the toughest on your list also. One thing is for sure, almost every teen has a favorite band or artist. Whether it’s Justin Bieber or Adele, quality headphones can make a world of a difference when listening to tunes. The Quiet Comfort Noise Cancelling Headphones from Bose are some of the best. These quality headphones come with three sizes of StayHear tips to fit any size ears. Almost any teen can also appreciate a nice pair of sneakers. The classic Converse High Tops come in a variety of colors and styles to compliment any look. These do fit a half size large so always order a half or full size smaller. The Herschel Supply Co. Heritage Backpack is also a great Christmas gift idea for any teen. It comes in a variety of colors and is reasonably priced for a quality backpack. Are you trying to think of the perfect Christmas gift idea for a friend? It’s never easy finding that special gift for your bestie. A Portable Charger may sound like a silly idea but it’s a lot more practical than you might think. Who doesn’t love a good magazine every month? Purchase a magazine subscription for a friend since you know them best. Whatever the area of interest, you can find almost any magazine at Magazines.com. Maybe you have a memory you want to cherish forever. Get your favorite photo of you and your friend printed on canvas. Easy Canvas Prints makes the process easy and has awesome prices. Purchasing gifts for teachers is no easy task. Some teachers feel gifts to be bit overwhelming and at other times, it can be difficult to see teachers accepting gifts when not all students can afford them. One thing we recommend for sure is to give your teacher a gift discretely so other students aren’t left feeling bad. Gifts aren’t always accepted by teachers so students or parents should check with the teacher first to see if they accept gifts. Costs can be a big gray area when it comes to teachers gifts. Who ever really knows how much to spend? With a gift card they will love, you can choose varying amounts ranging from $5 and up. Consider a gift card for Indigo so they can purchase something for their home or the classroom. Another great idea for teachers is something personalized. Find hundreds of great items at Personal Creations. 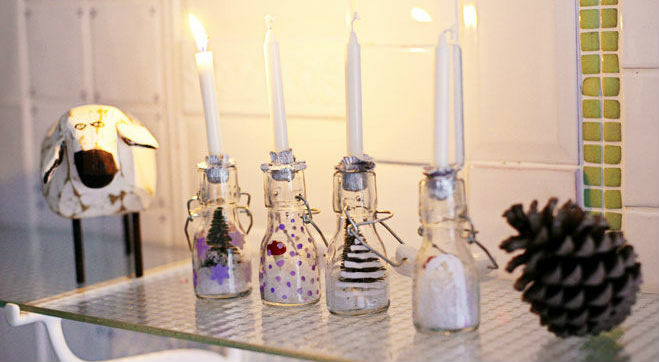 For others on a budget or who love to craft, consider making your own candles. Nothing shows how much you care than a homemade gift. Sometimes giving a gift with your own personal touch is more appreciated than something purchased. Grandparents, Aunts & Uncles, and friends might get a kick out of something as simple as a photo. We did some digging around and found a few other great Christmas gift ideas for do-it-yourself type people. It might sound different but a Terrarium Kit is actually awesome. Create your own ecosystem(s) and present them to friends or family with a custom card. Find all the information to create your own Terrarium on the Wit & Whistle site. Our team here at Dealhack is discovering that the older we get, the more we enjoy homemade gifts. Have you ever thought about making your own Tea Towel? For those people that love the kitchen or interior decor, these can make the perfect gift. Do you have someone in your life that enjoys natural health & beauty products? You can even make your own Lip Balm right in your kitchen. This all-natural lip balm recipe is perfect for those cool winter days. Purchasing gifts for couples can be a tough decision for some people. Do you buy each person a gift? Do you purchase one gift for the couple? How much do you spend? We personally think one gift for a couple is more than appropriate. You can then browse a variety of price ranges and get them something they can use together. What about a nice bottle of wine or champagne? It may sound a little boring at first but trust us, it never goes unappreciated. For your parents or friends who recently had a wedding, consider a Personalized Anniversary Journal. Give a gift that will help that special couple remember their special day for years to come. If you would like to really give a custom piece, a Cedar Doormat from gifts.com is a really cool idea. Now, this section of our gift ideas may be a little strange. That’s exactly why we just had to post a few ideas that a little different but truly awesome. Now, this first item probably won’t fit many people’s budget but the 120″ Ultra HD Sharp TV just had to make our list. It’s bigger than a lot of people and we’re sure the price tag probably is too. Something cool that might be a little more realistic is an electric scooter. The Emicro One Foldable Scooter is only 16.5 lbs and can reach 12mph. You can fully charge it in just one hour. Something for the urban gardener would be the Miracle-Gro AeroGarden. This mini garden for the home grows fresh vegetables, herbs, and more and is only $70 at Amazon. Doesn’t it feel great to spoil your parents at Christmas? With everything they’ve done for us, why not treat them to something they’ll love. The Belkin Kitchen Stand with Stylus is perfect for most tablet lovers. Do your parents love to spend time in the kitchen? This washable stand will make reading new recipes and trying new dishes even easier. For the music lovers, consider the cool and vintage Bluetooth Gramophone. This awesome unit works with all of your favorite devices and will look great in any home. Lastly, any parent would love the Nespresso VertuoLine Coffee & Espresso Maker. This awesome coffee and espresso maker has a milk frother so your parents can make delicious beverages in their own kitchen. By no means are we perfect gift givers here at Dealhack headquarters. Heck, we often forget coworkers birthdays only to be reminded of them by email. For this Christmas season, we suggest being mindful of the recipient. Remember not all recipients of a gift will have one to give in return. Don’t be surprised if you don’t receive a gift back. Instead, make the recipient feel comfortable and insist you weren’t expecting anything. Not everyone can afford gifts for everyone in their life come the holidays. Add a special touch if possible. Even a homemade card can transform a Christmas gift into a memory for a family member or friend. Consider adding a picture to the card or wrapping the gift in something unusual. If you have kids, have them draw a few paintings and use the paintings to wrap a gift. Or, if you’re giving a gift card make a clue game to find the gift card. Anything with a personal touch makes gift giving and receiving more fun. Now that we’ve shared some of our favorite gift ideas with your for this coming Christmas, it’s time to get shopping. Have a safe and happy holiday season from our family to yours. Wow, great post! You have shared some excellent Christmas gift ideas to give almost everyone on my list. Thanks for sharing! Great gift ideas. And the pics are really very beautiful.